Alyson McCarthy spent 20 years as a television news anchor and consumer investigative reporter for News 13 Inside Las Vegas and 8 News Now before she was bitten by the “non-profit bug” and resigned from the news business permanently in 2010. 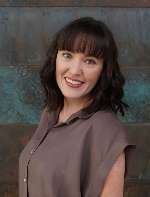 She became the Marketing Director for Nevada Donor Network, whose mission involves educating the community about the importance of organ and tissue donation to save lives. 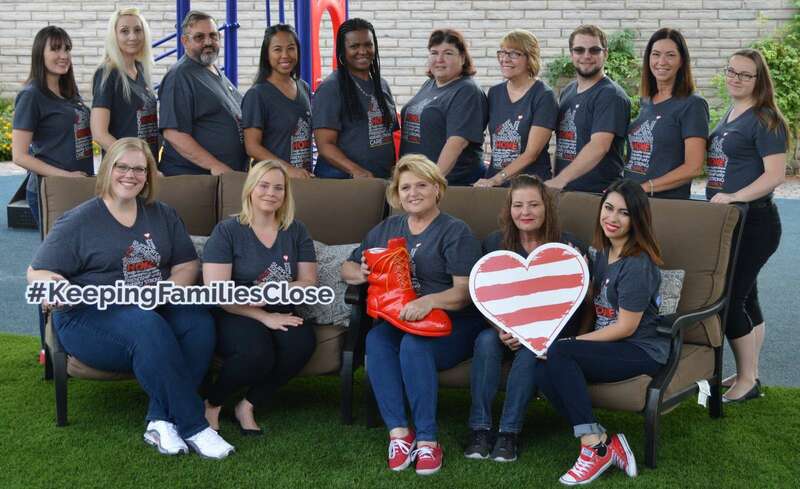 One year later, an executive search committee for Ronald McDonald House Charities® of Greater Las Vegas approached Alyson about becoming the Executive Director for the organization. “It was an opportunity of a lifetime,” Alyson said. “I have enjoyed the challenges and rewards that come with leading a wonderful organization and staff, whose mission is to help families in crisis.” Four years later, Alyson has led the charge to remodel the existing Ronald McDonald House®, expand the organization’s hospital lunch program, and implement the first hospital-based Ronald McDonald Family Room® in Las Vegas, which celebrated its grand opening in March of 2016 at Sunrise Children’s Hospital – keeping local families closer than ever to their hospitalized children. As with the Ronald McDonald House® mission, family comes first for Alyson. 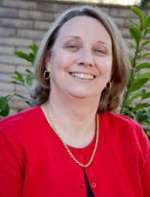 She has been married to Las Vegas CPA Bill McCarthy for 27 years. She is also the proud mom to 22-year old Nicholaus and 20-year old Matthew, both of whom are currently attending college in Reno, Nevada, and 15-year old Andrew, who currently attends Bishop Gorman High School. 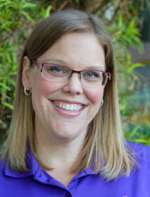 Shannon joined Ronald McDonald house in 2017 as our Director of Operations. Her desire to help children stems back to elementary school in Southern California where she became involved in assisting children with special education needs. 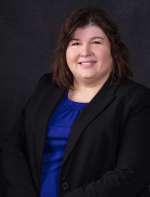 She moved to Henderson, Nevada in 1989 and studied Business Management at University of Phoenix. She comes to the House with more than 15 years of management and telecommunications experience. She believes in working hard with a smile and being part of an environment that can provide a compassionate hand in helping children and their families in their time of need. Shannon is a wife and mother of two and loves to spend time with family and friends. She is an artist in all forms of media and shares this passion with her daughter. Jacqueline joined the House as the Special Events Coordinator in 2016 and started serving as the Director of Development in 2019. Prior to RMHC, Jacqueline served in the public sector managing community events and programs for elected officials as well as political fundraising and campaign events. Prior to relocating to Las Vegas in 2015, her community engagement efforts focused on connecting valuable educational and health resources to families in need, and she is grateful to continue supporting this work in a non-profit setting. 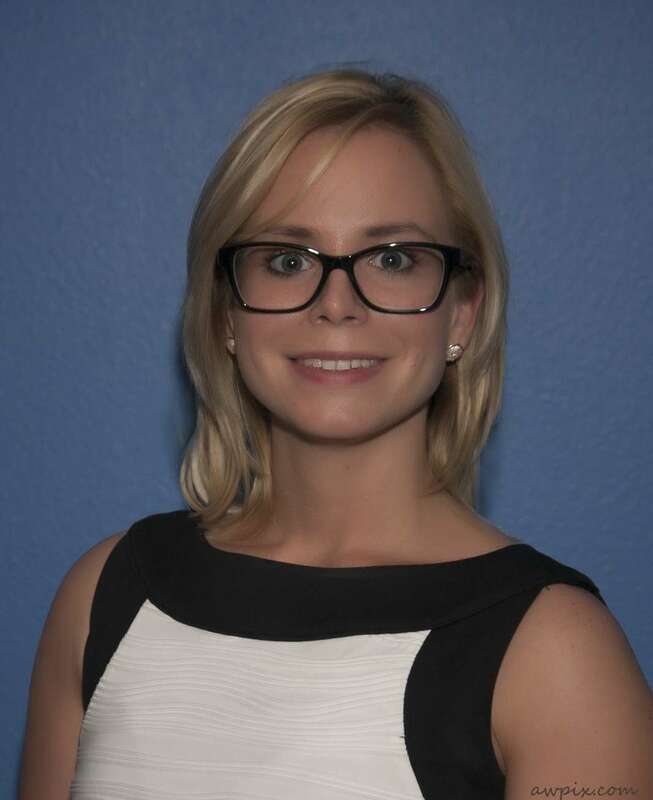 Jacqueline holds a bachelor’s degree in political science from the University of California, Berkeley and enjoys the Vegas trails and eateries and traveling with her husband and son. Marvella is our Weekend House Manager, and how she came to be with RMHC® is a story with a happy ending for both Marvella and the House! Thirteen years ago her 16 year old son was involved in a terrible accident. Marvella stayed here at the House for nearly 5 months while her son underwent numerous surgeries and a difficult recovery. She fell in love with RMHC® and our mission. She sees working here as giving back to an organization which helped her in a time of need, and she can truly empathize with what our families are experiencing. Marvella has been with us for 12 years, and is happy to report her son is very well. Since 2008, Julie has served as the Family Services Coordinator, Volunteer Manager, and is now currently the Executive Assistant & Database Coordinator. 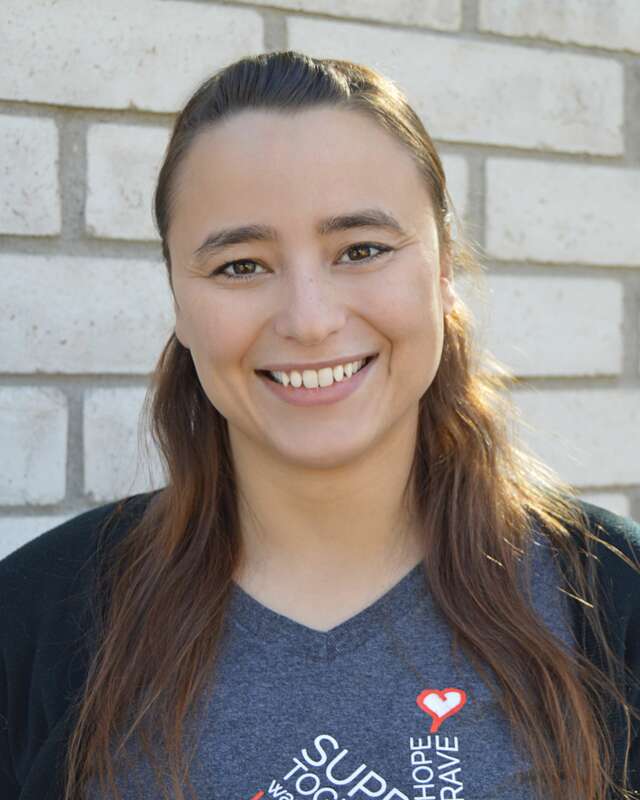 Prior to coming to the House, she spent four years at the American Heart & Stroke Association, where she truly found her passion for the non-profit world. 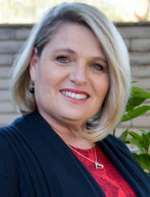 As a Bay Area California native, Julie has resided in Las Vegas for 16 years with her husband and daughter. In her spare time, she enjoys getting lost in a good book, traveling and spending time with family & friends. Ferell officially joined the House in 2017 as a founding member of our Red Shoe Society and became the Special Events Assistant early in 2018 and became the Marketing Coordinator later in 2018. Ferell was first introduced to the House in 2014 at a Peter Pan birthday party that she volunteered her photography services for. Previously she was the marketing manager for her father’s air conditioning company here in Las Vegas. Her passion for nonprofit developed through volunteering as a local executive director with the Miss America Organization where she awards scholarships and mentors young women on their preparation to Miss Nevada and Miss Nevada’s Outstanding Teen. She received her bachelors in communications from the University of Nevada Las Vegas. Ferell loves all things Harry Potter, and spending time with her husband and three fur babies. Donna came to the House in 2001 as a volunteer one day a week. She quickly fell in love with the House and volunteered more and more. 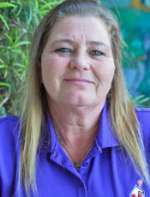 A position soon became open to work at RMHC®, and Donna didn’t think twice about taking it! A few fun facts about Donna: She was involved in the House even before it was built; she has been with this House from day one. She has also been working since the age of 13 when wages were 50 cents an hour! For Donna, working as the Facilities Manager goes far beyond keeping the House beautiful. Her favorite parts about the job are interacting with the families, making them feel comfortable and getting to know each family story. Nothing happens in this House without Donna knowing about it, and no family leaves without having been uniquely touched by her. Richard is our Morning Manager - up early every morning to take care of RMHC® families. 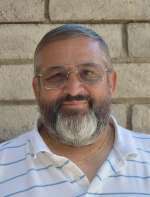 He worked for USPS for 35 years before retiring in 2012. He then started volunteering at the Ronald McDonald House® and has been here ever since! Before becoming the Morning Manager, Richard was a Relieve Manager for a few years. He was more than willing to help fill an open shift if the house needed it. He enjoys making RMHC® families' lives just a little easier in a very trying try for them. 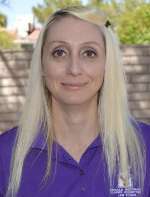 Christine has worked at the Ronald McDonald House Charities® of Greater Las Vegas since 2013. Christine hails from Great Britain and attended Coventry University. She was an Administrative Officer with the British Civil Service for over 15 years and has extensive experience in contract administration, customer service, and accounts payable. After relocating to the United States with her family, she felt it was vitally important to put her career on hold to raise her family. 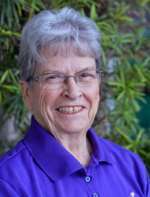 While doing that she was an active volunteer at different organizations including Nellis AFB and the Ronald McDonald House® and enjoyed working with diverse people at each organization. As Volunteer Manager, Christine enjoys working with the committed people who make up our volunteer workforce, giving their valuable time helping the families and children we serve. Without their support and dedication our mission would not be possible. Heather grew up in Southern California and worked in the restaurant industry for over 20 years. She has always had a love for volunteering and non-profit organizations, specifically ones that work with children. Her brother lost his daughter in Las Vegas back in 1997, and ever since, Heather knew one of her goals in life was to be a part of an organization that helped children. Heather began volunteering her time at RMHC and the RMHC Family Room back in 2016 and quickly realized she wanted to work for RMHC. She officially joined the RMHC team in December of 2018 as the Family Services Manager. Heather is a newlywed and enjoys spending her free time traveling with her husband, and playing with their two fur babies. Whitney Herron was born in Modesto, CA but moved with her family to the East Bay Area soon after. 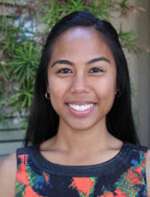 She attended San Diego State University where she majored in Political Science and minored in Naval Science. She and her daughter Sydney and have lived throughout the United States. Her favorite pastime is travel and hopes to do much more of it in the future. Sandy Mendez was born and raised in Las Vegas and graduated from Southeast Career & Technical Academy where she majored in Graphic Design. Sandy feels that working at RMHC is a rewarding place to work. Her favorite part about working at RMHC is seeing the families go home with their healthy children. In her free time Sandy enjoys knitting, and also sings in a band. Her favorite style of music is pop-rock, indie, and alternative. Sandy has a pet fish named Charlie. 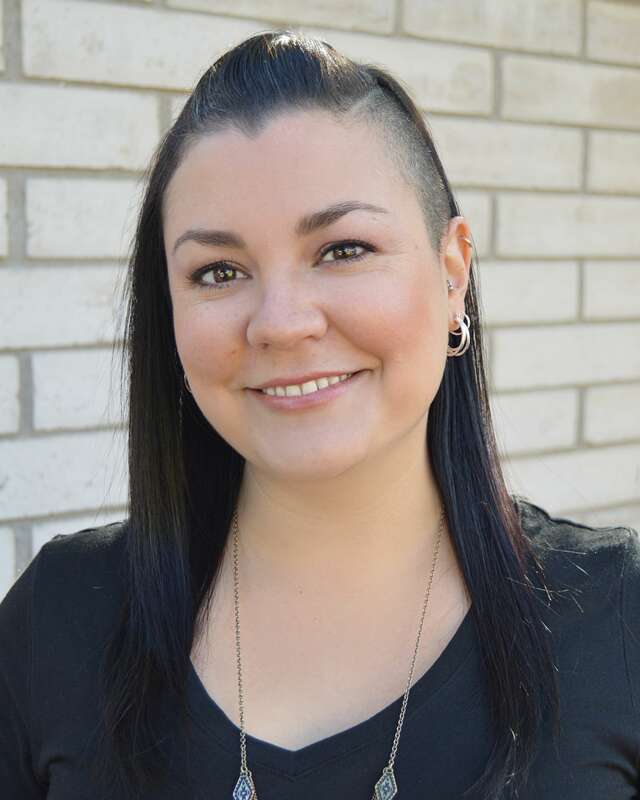 Stefania joined the RMHC team as the Community Outreach Coordinator in December of 2018. Prior to her work with RMHC, she held the position of Community Organizer for a political nonprofit where she worked with volunteers and other organizations to help educate the public on environmental policies. 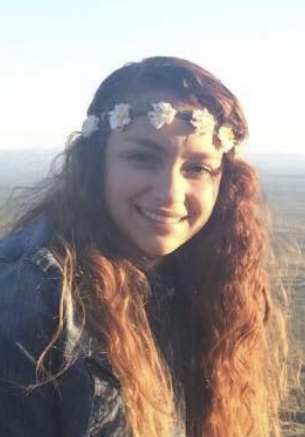 Stefania has also worked and volunteered for several non-profits throughout the Las Vegas valley since 2010. She believes that giving back to others and the community is one of the most important and rewarding things that someone can do with their time. She hopes to share her passion for helping others by reaching out and educating her community on the wonderful work that is done by RMHC. Stefania is currently working on her Bachelor of Science degree in Pre-Professional Biology at the University of Nevada, Las Vegas. She enjoys spending time with her family and taking her three dogs to the park with her husband. Linett joined our RMHC® family in the middle of 2016 as the Programs Coordinator and is now our Programs Manager. She graduated as a Rebel from the University of Nevada, Las Vegas, in early May with a Bachelor of Science degree in Public Administration. 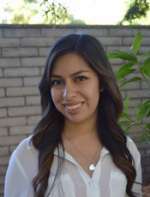 She is a fluent Spanish bilingual and a Vegas native who has seen the growth in our community. Her love for non-profits sparked when she was first given the opportunity to discover it in high school, and since then she made it a part of her lifestyle in college to be more involved. Her passion lies within her drive to help children have better futures. She believes that children are our future, and they deserve a chance to all opportunities and support to succeed, whether it was in academics or a second chance at life. She is ecstatic in her role because she is able to be hands on with programs that impact the lives of children, youth seeking higher education, and families as a whole. Marifer was born and raised in Mexico City, and moved to Las Vegas in 2016. She has her Bachelor of Science in Marketing, and comes to RMHC with a wealth of experience with 12 years of experience in marketing, and over 7 years of experience as the Director of Sponsorships and Corporate Events at Aeromexico. When Marifer worked with Aeromexico she had the opportunity to support non-profit organizations through auctions and fundraisers at events. She has always been passionate about helping others and even volunteered as a coordinator for the emergency response and natural disaster relief programs at Aeromexico. 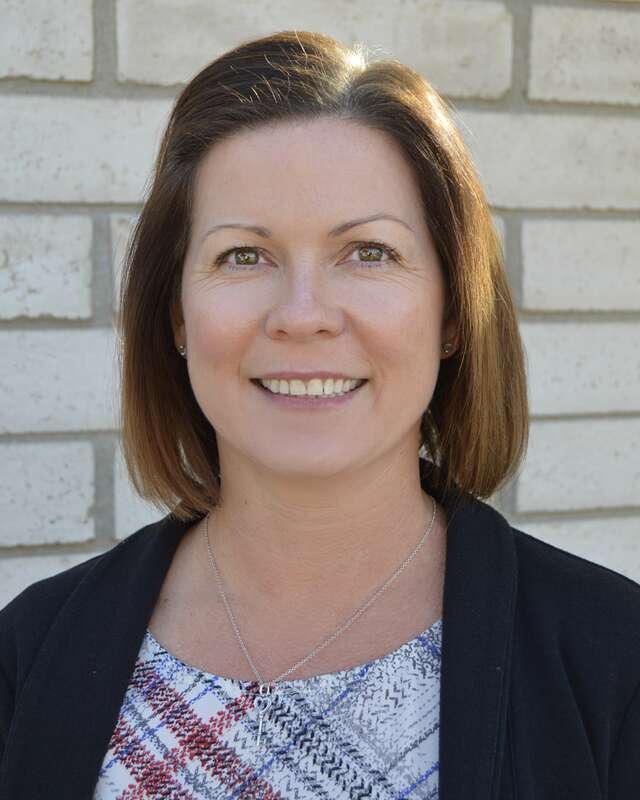 She is fluent in Spanish, and in her spare time enjoys spending time with her husband, attending concerts, shows, and the outdoors that surrounds the Las Vegas valley. Zach joined RMHC® in 2013. In his role as evening House Manager, Zach is here as each family returns home from the hospital and enjoys a home cooked meal. As such, he gets to know our families well and appreciates being able to be here for them throughout their stay with us. Zach is also the Houses “Mr. Fix-it”, and the guy who can lift the heavy stuff! 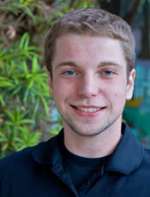 Zach was born in Augsburg, Germany and has lived in Las Vegas since 2012. In his free time he enjoys hiking, spelunking and playing pranks on his fellow staff members. Tiana grew up in California, and moved to Las Vegas in 2011 to attend the University of Nevada-Las Vegas, graduating in 2015. Upon graduating with a Bachelor’s degree in Psychology, Tiana began to work for other non-profits in the Vegas area until coming to the Ronald McDonald House in 2018. Tiana has an extensive background and has worked with: individuals with cognitive impairments, youth who have found themselves in legal trouble, psychiatric patients, women and their children affected by homelessness, survivors of domestic violence, survivors of human trafficking, and youth in Clark County’s Foster System. In her spare time, you can find Tiana spending time with her animals, as she currently has four cats and two dogs.